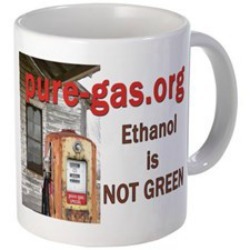 Gasoline or Ethanol: Which Is More Polluting? 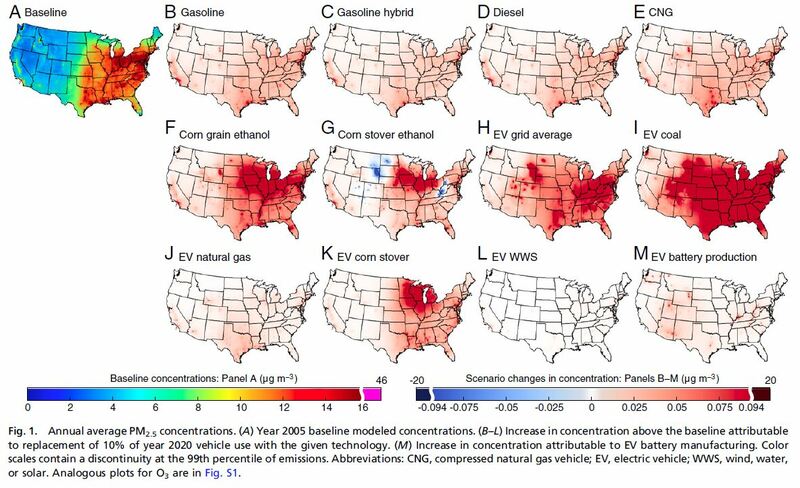 Adding ethanol to gasoline makes it cleaner and reduces air pollution, right? So biofuel lobbyists would have us believe. However, a study published in Proceedings of the National Academy of Sciences (PNAS) comes to the opposite conclusion. That is, we need to consider the damage caused by producing them in addition to using them. For gasoline, the life cycle includes extracting and refining crude oil, and distributing and combusting the gasoline itself. The life cycle of corn ethanol includes growing and fermenting grain, and distilling, distributing, and combusting the ethanol itself. 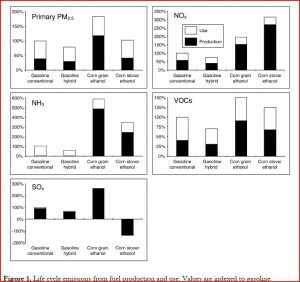 Although combustion emissions from ethanol are lower than those of gasoline, production emissions from ethanol are higher. 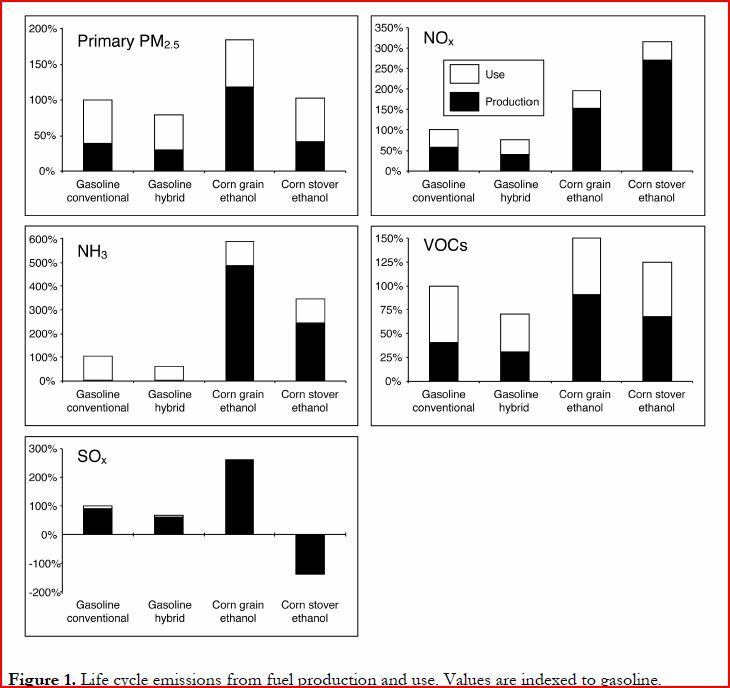 So much so that on a life-cycle basis, ethanol is the larger source of five different air pollutants: primary fine particulate matter (PM2.5), nitrogen oxides (NOx), amonia (NH3), volatile organic compounds (VOCs), and sulfur oxides (SOx). RFS2 will continue to damage air quality as long as it supports corn grain ethanol regardless of how the cellulosic biofuel industry develops. 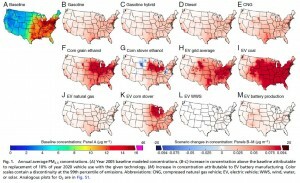 Increasing the efficiency of corn grain ethanol production may lessen its negative health effects, but even dramatic improvements would be unlikely to make it a less damaging alternative to gasoline. Likewise, even ideal development of the cellulosic biofuel industry would likely result in only marginal improvements in the health impacts of transportation. The figure below shows projected PM2.5 impacts for each of the 11 vehicle/fuel options in 2020.